I made this for Mama Veggie Runners’ birthday (her birthday is on New Year’s Eve – best day ever for a birthday?). I wanted to make something that came from the heart, was super delicious and that she could use in other cooking. There are two great by-products from the process, too. In the first stage, you boil the ginger to make it a bit more tender to the tooth. In doing so, you get a fiery ginger water that is perfect with some lemon and a good hit of honey. I can’t comment on how it would be in a hot toddy but I can’t imagine it doing badly. The second stage involves a lot of sugar (North Americans don’t call this ‘candied ginger’ for nothing!) and produces a deeply ginger simple syrup. I nicked some and had it drizzled over cut melon, and mum has been enjoying it with Greek yogurt since I forced myself it hand it over. I’m sure this too would be good in cocktails! Ginger mojito, perhaps? 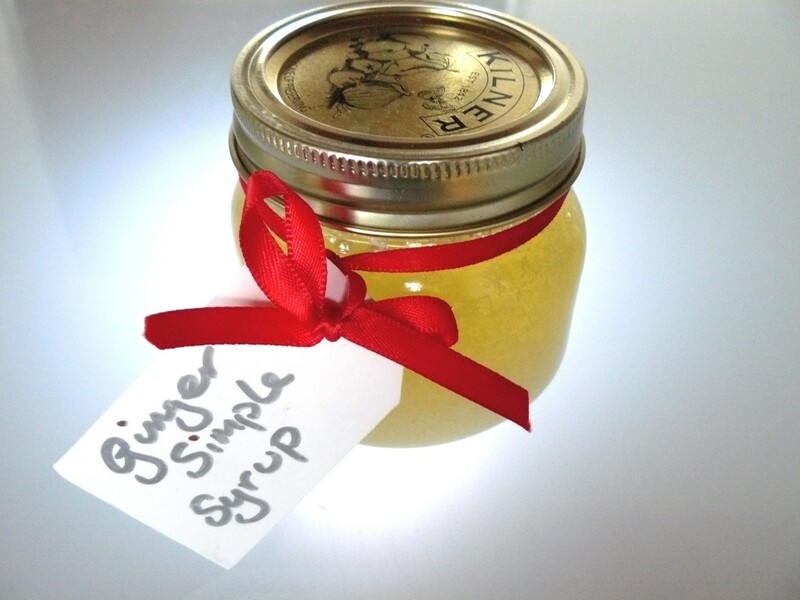 We read online that the best way to peel ginger is with a teaspoon. That way you can follow the nooks, bumps and crannies of the root without wasting the precious flesh that you would hacking with a knife. It really works, though the process is pretty arduous no matter how you do it. Peel your ginger using a spoon and cut into 2cm cubes. Put the ginger in a non-reactive saucepan and cover with water. Boil for 30 minutes. 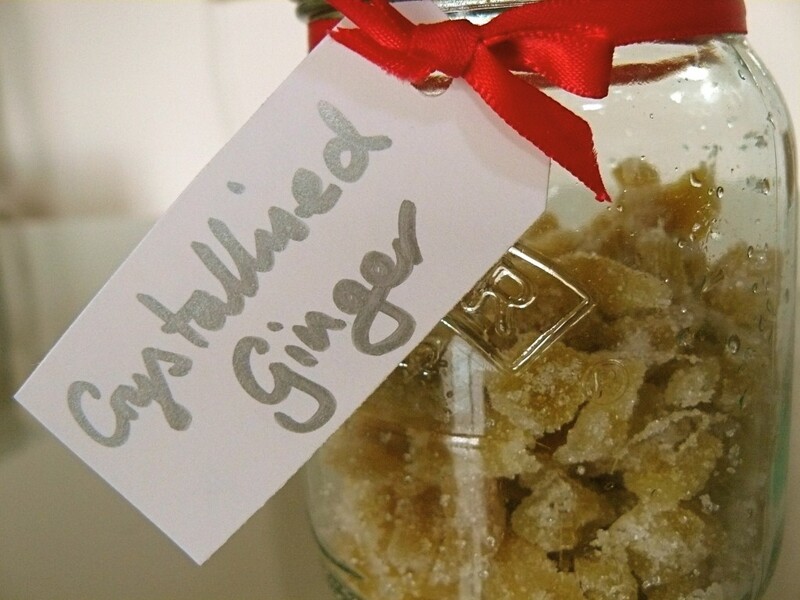 Weigh your drained ginger and measure out the same amount of caster sugar. Add 2 tbsp of water and heat over a medium heat. Try not to stir. It’s not the end of the world if you do – there will be just more crystals in the syrup. Try and do a swirl holding the handle instead if you get really tempted. Cook for 30 minutes, until the syrup is a golden colour. Meanwhile, lay out some baking parchment and put about half a cup of sugar in a bowl.